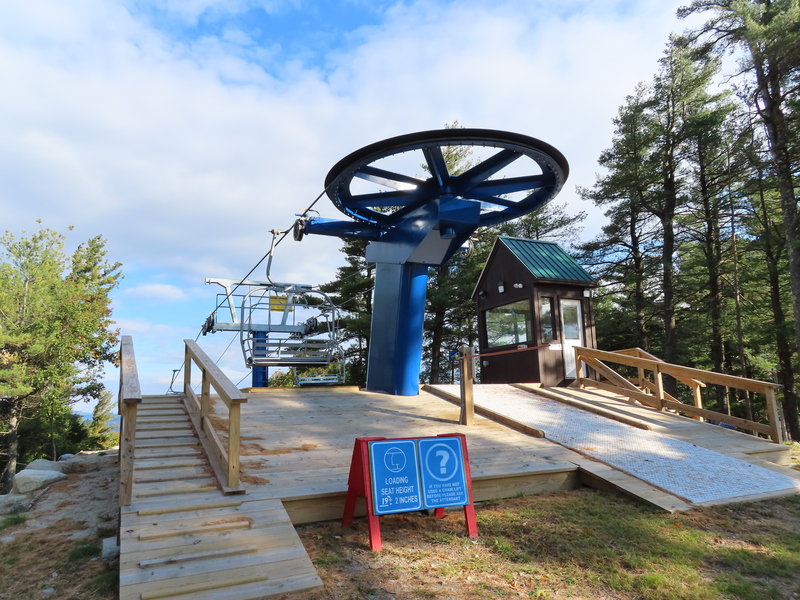 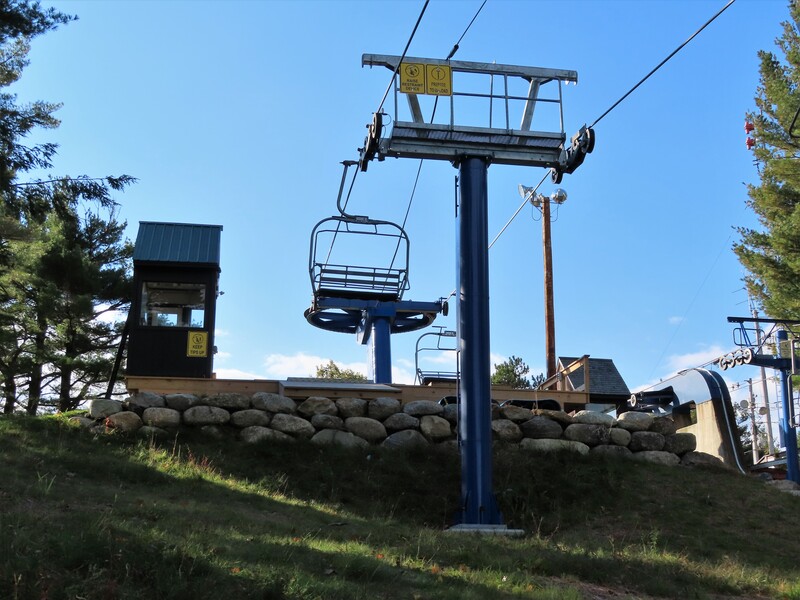 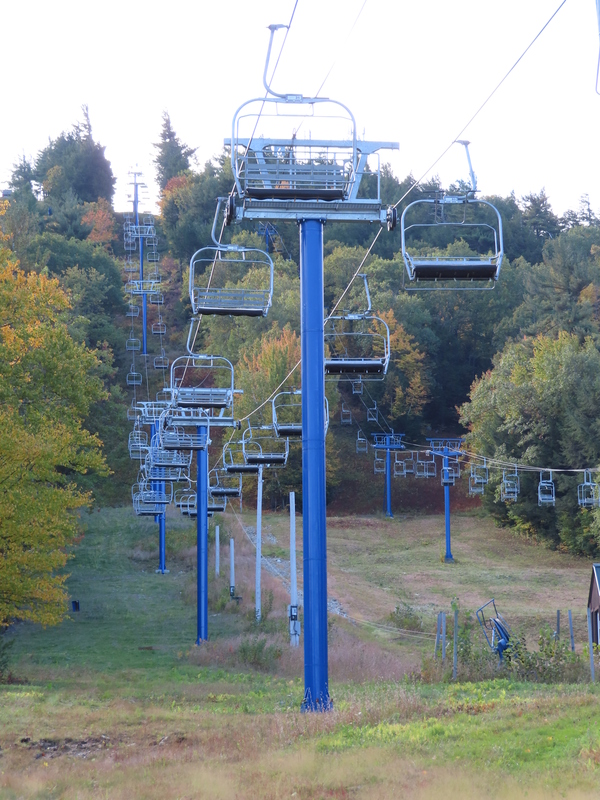 Skytrac relocated this triple chair from Acutney, VT to Pats Peak in 2017. 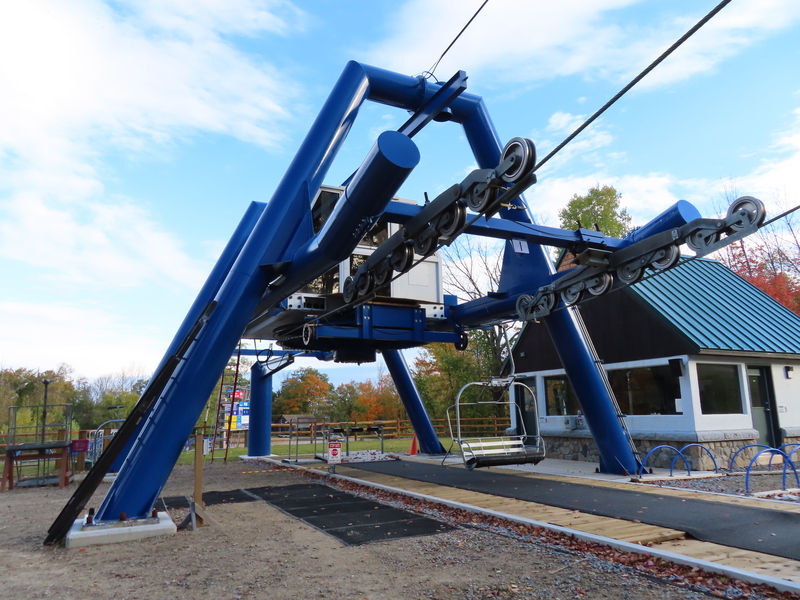 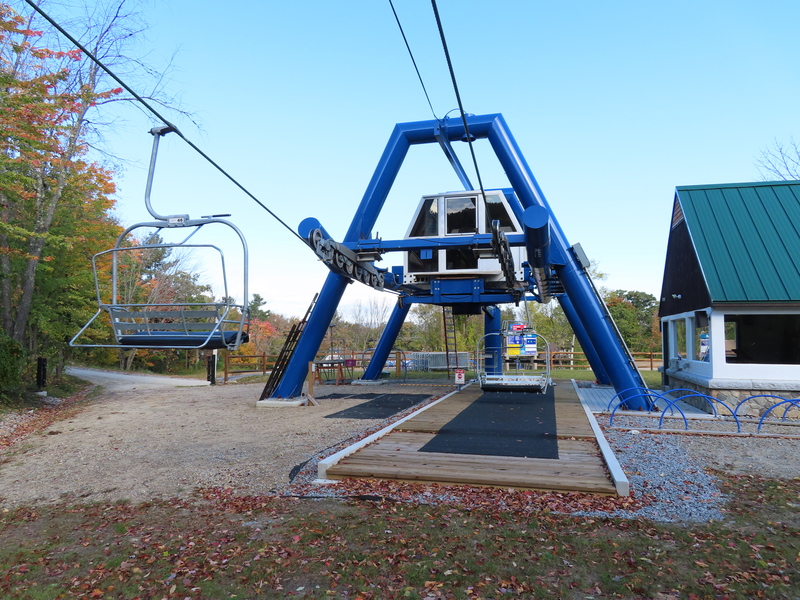 The new lift has a loading carpet, hydraulic tensioning and other upgrades. 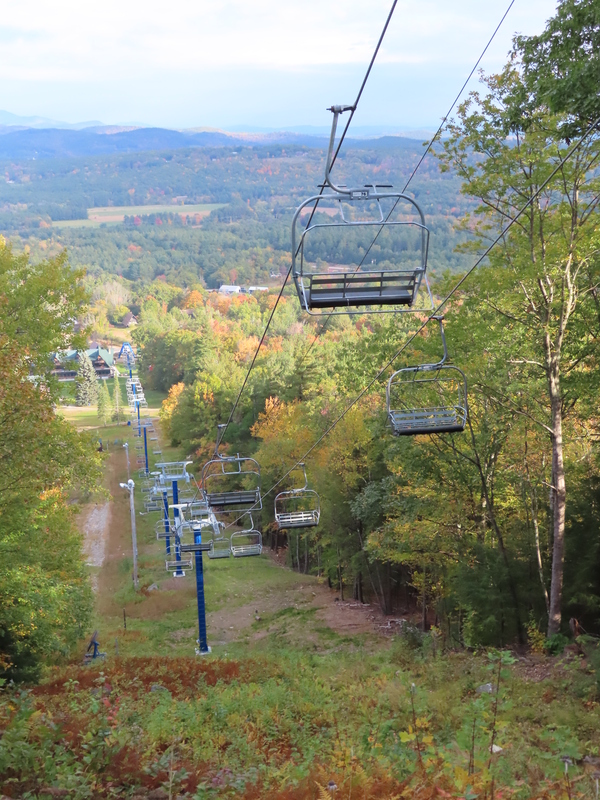 Looking down at tower 14. 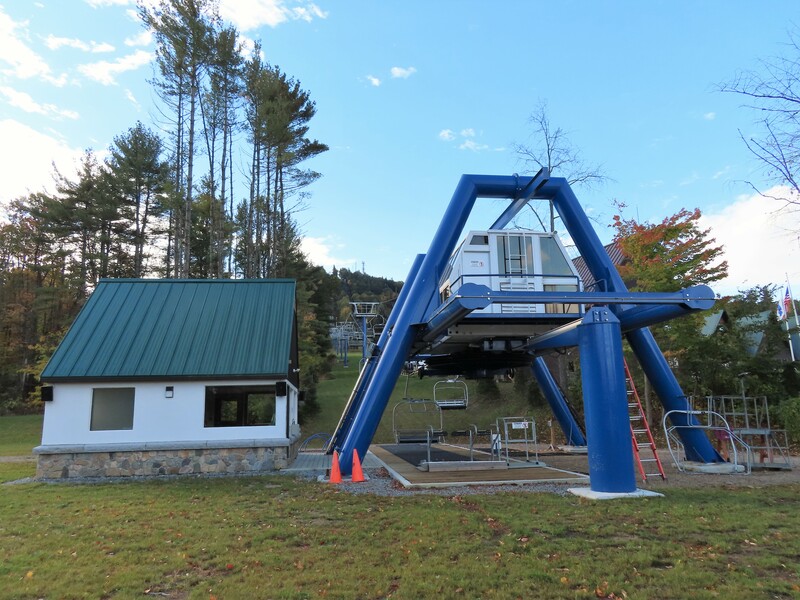 The CTEC Orion top station. 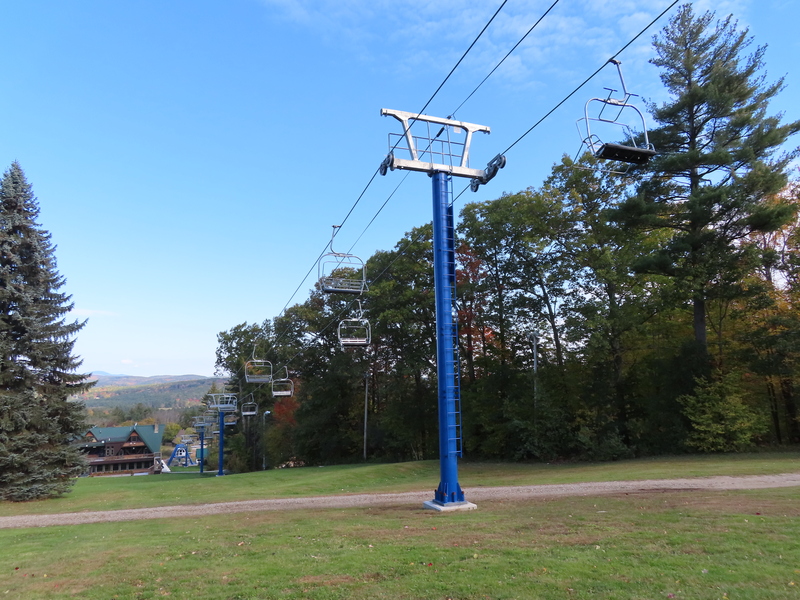 The first few towers in the base area. 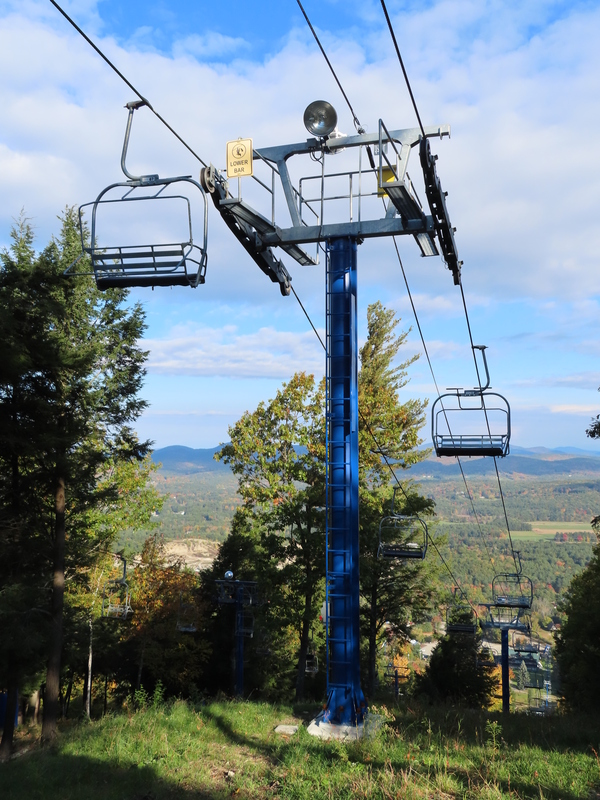 The tower tubes may be original, however the lifting frames were SkyTrac.